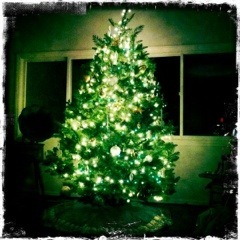 I offer this symbol of joy known throughout the world as a freshly trimmed Christmas Tree! Happy holidays! Don’t worry kosher friends, the menorah is at the ready on the mantle, prepared to bring eight days of joy later this month!